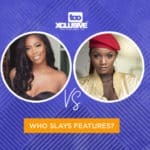 If Tiwa Savage And Simi Are The No1 & 2 Female Artistes In Nigeria, Who Is No3 ? Are These The Top 5 Music Industry “Besties”? 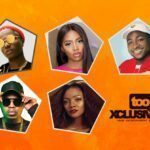 Davido, Wizkid, Olamide, Tiwa & Simi – Who Deserves The Headies Artiste Of The Year Award? 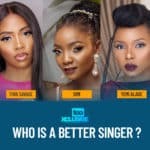 Tiwa Savage || Simi || Yemi Alade : Who Is A Better Singer? 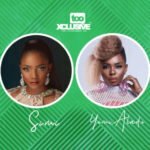 Simi VS Yemi Alade: Who Will Pull More Crowd At A Show? 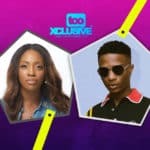 Top two naija female artists. 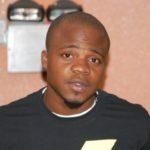 Argue with your weak thoughts. Not me. Niniola is d 3rd cos she as well have songs dat bangz d club, just like MARADONA, SOKE, etc.